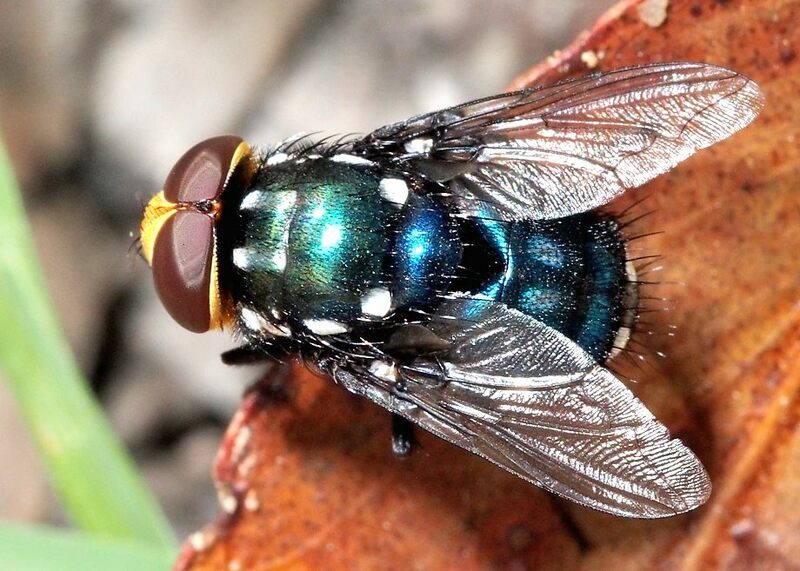 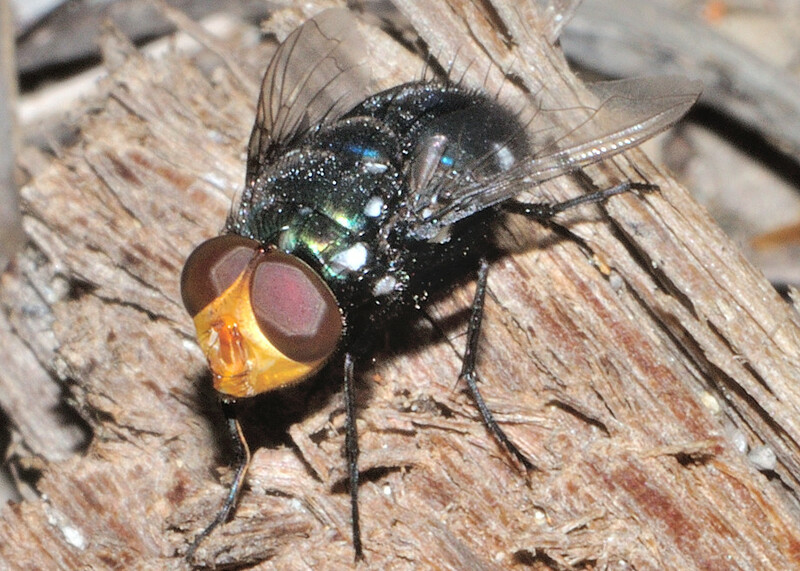 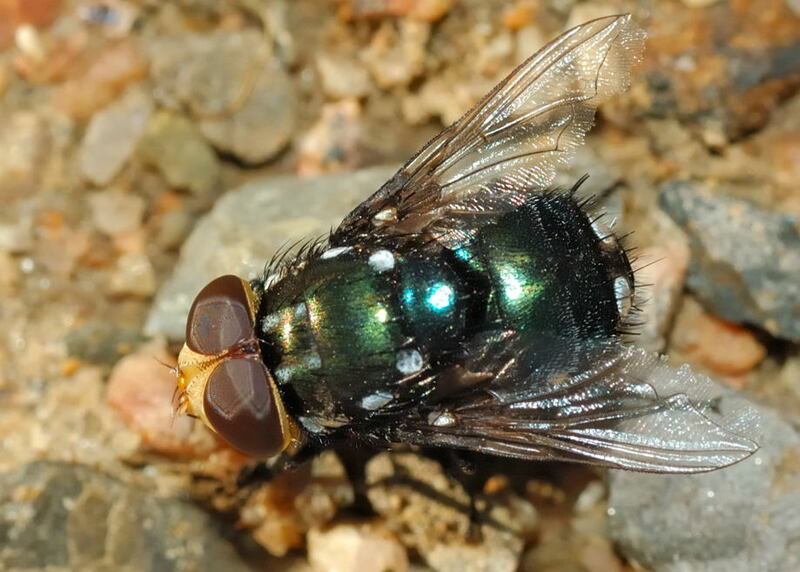 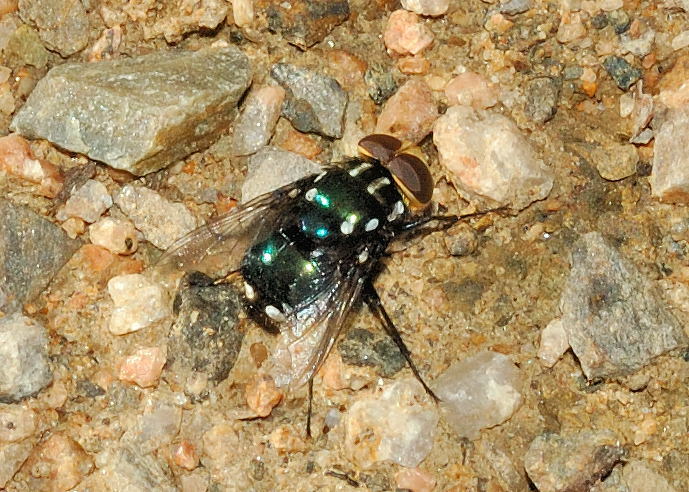 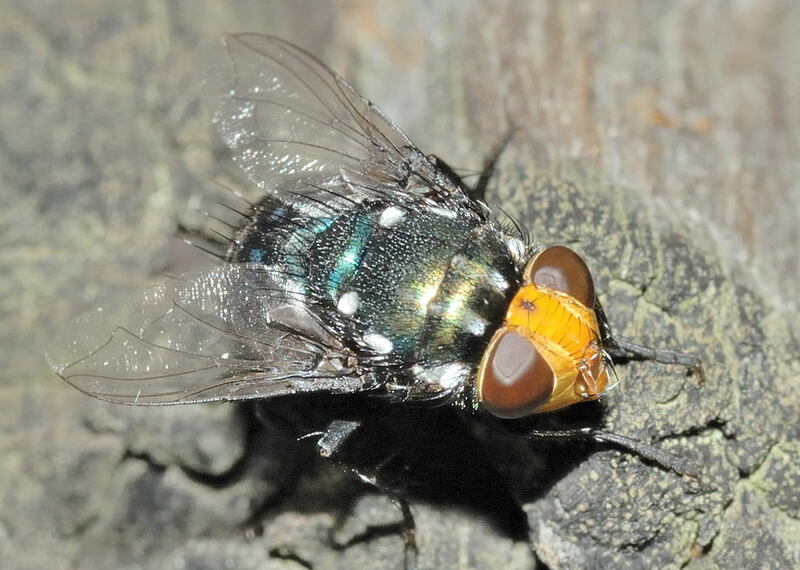 This page contains pictures and information about Snail Parasitic Blowflies that we found in the Brisbane area, Queensland, Australia. 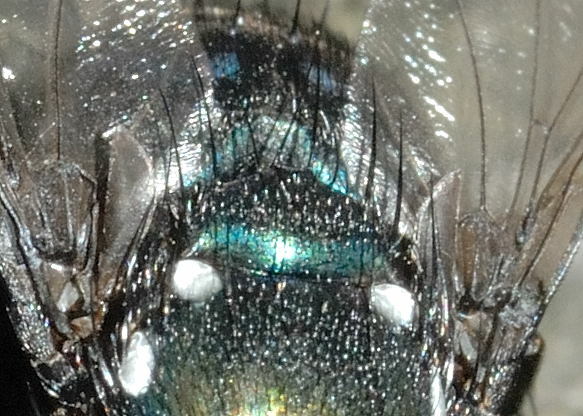 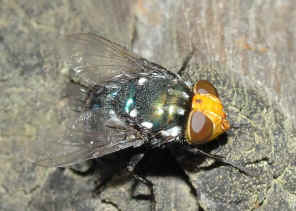 This is the medium size Snail Parasitic Blowfly. 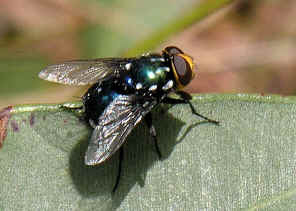 As all the Snail Parasitic Blowfly species, they are nectar feeders and assist the flower plants for pollination. Their larvae are parasites on land snails. 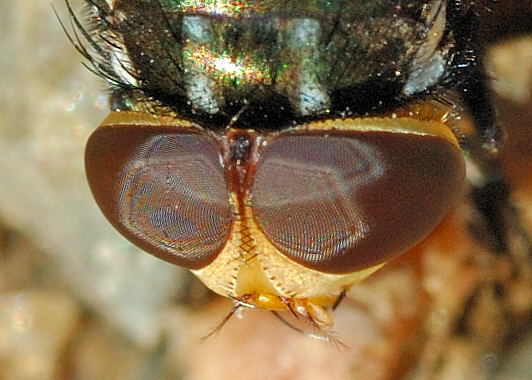 - Scutellum with three pair of marginal setae. 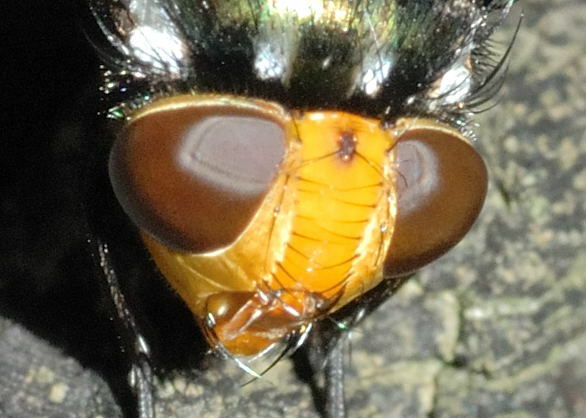 - Postorbits yellow to orange. - Dark blue-green to bluish violet. - Male frons extremely narrow more or less meeting in mid line. - Head of male golden yellow. 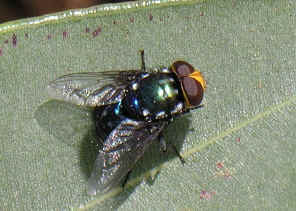 - Bend of vein M obtuse, nearer to m-cu than to wing margin.